Keystone Wildlife Research Ltd. was formed in 1984 and has grown from an owner-operated company to a full-service environmental consulting firm, providing biological and resource management consulting services to clients in the public and private sectors throughout British Columbia. The combined expertise of our dynamic team results in the creation of high quality, cost effective, spatially defined professional products with competitive, innovative solutions to meet the challenges involved in successful resource management. We are currently working on a variety of projects including effects assessments, mitigation measures, inventories for a wide range of vegetation and wildlife, as well as ecological mapping. We have a long list of satisfied clients including: federal, provincial, and municipal government agencies, forestry, mineral exploration, utility, and land development companies, as well as crown corporations and private individuals. In 2005, Keystone began work on the wildlife and terrestrial vegetation baseline for the BC Hydro Site C Clean Energy Project and continued to work on the Project for the next seven years, carrying out wildlife and vegetation surveys, and completing Terrestrial Ecosystem Mapping (TEM) of the Peace River Valley. Keystone crews—including biological/species specialists—collected data on breeding birds, waterfowl, owls, woodpeckers, swallows, amphibians, snakes, terrestrial invertebrates, bats, ungulates, beavers, and fishers. Surveys were conducted by foot, vehicle, helicopter, fixed-wing aircraft, and boat. Radio-telemetry techniques were used to obtain movement data on ungulates, fishers, and bats. Survey data were analyzed and reports were prepared by Keystone biologists and provided to BC Hydro to support the Project's environmental baseline. The Site C Project entered the environmental assessment process in April of 2010. Keystone was contracted to prepare the wildlife and terrestrial vegetation environmental assessment, including a synthesis of baseline data, assessment of potential effects, preparation of mitigation strategies, and assessment of residual effects. All phases of work on the Project required close communication with BC Hydro staff to ensure Keystone's work was co-ordinated with that of other disciplines and to ensure timely completion of the deliverables, which were an integral part of the Project's Environmental Assessment. The Project moved into Panel review in late 2013. Keystone biologists attended the Panel hearings and were called upon to answer questions from the Panel regarding terrestrial wildlife and vegetation and the potential impacts of the Project. BC Hydro staff was complimentary of Keystone's work throughout the Project's development and appreciative of the prompt responses received to requests for information or clarification. BC Hydro's retention of Keystone's services since 2005 is a testament to the quality of our work. Keith has operated Keystone Wildlife Research Ltd. since 1984. 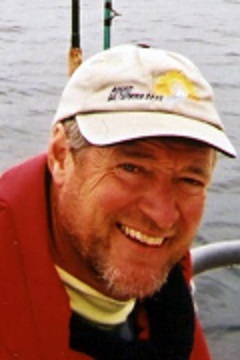 He has over 30 years of experience in wildlife research and management planning. Keith has completed wildlife habitat assessments in many areas of the province, and co-authored the draft RIC standards manual for ungulate aerial inventory and radio-telemetry. He has authored strategic and operational plans for grizzly bear and caribou, and has been called as an expert witness in regards to caribou habitat. He has worked with stakeholders in all parts of the Province to understand and resolve environmental conflicts, particularly for large mammals. He will act as the lead biology project manager and liaise with Ministry contacts, as well as providing internal QA of deliverables. Kyle Simpson, B.Sc., R. P. Bio., is the General Manager of Keystone, responsible for the operations and oversight for all terrestrial wildlife and vegetation projects. He has over 17 years of experience in wildlife research, management planning and identification of critical habitat (UWR) for various species in BC. He has been involved in environmental assessments and is familiar with the provincial (BCEAA) and federal (CEAA) review processes. Kyle is intimately familiar with the wildlife and vegetation requirements to support different initiatives. He is skilled in the use of GIS to develop wildlife habitat models that establish the linkage between critical habitat elements and land management options. He has been instrumental in the Wildlife and Vegetation assessment component for large energy projects such as BC Hydro’s proposed Site C dam near Fort St. John. He is supported by KWR’s team of Registered Professional Biologists and GIS Analysts. 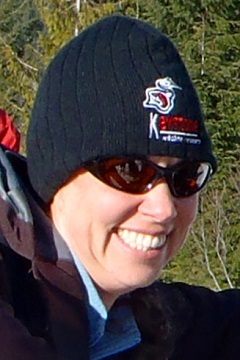 Lauren has worked with Keystone on a full- and part-time basis since 1995, field assessments. She has been managing projects since 2005. Lauren has worked on a diverse group of projects, completing wildlife surveys and where she has co-ordinated and supervised a number of employees and sub-contractors. She is skilled at efficiently allocating resources, scheduling and ensuring protocols are followed. Lauren is familiar with RISC standard survey protocols for a variety of species. Her attention to detail results in quality field data.